Nokia has already started pushing an update to the Nokia Asha phones that will bring 7GB free OneDrive Storage among other things to user. Asha Touch phones are the devices launched running the new Asha platform. These include Asha 500, Asha 501, Asha 502 and Asha 503. 7GB Free OneDrive Storage (will require a Microsoft Account and is only for new sign-ups) Users can then choose whether to set automatic or manual image uploads to the cloud service. 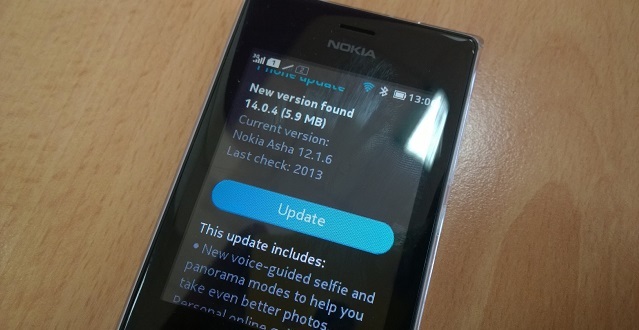 Nokia does quite well with the updates and having the research office in the country helps a lot in that use case is tested with the existing environment available to users in East Africa like network infrastructure and services. Kingori Gitahi, Nokia East Africa Product Manager user experience is one very important delivery factor from Nokia to the user and a lot of investment goes to ensure they research on ways to ensure they deliver the best experience even to the user of the low end phone. The update comes either as a push notification or one can check manually for the update which is a 5MB update.